As we enter into this new energetic month of October, we will experience the change that comes after the integration phase that many of us have had during all this summer. As you know, our Beloved Planet is not the only one experiencing a planetary reconfiguration - star portal reconnection - and has bifurcated from Old Earth, embodying a higher version of it, but we, as beings who have consciously decided to evolve, are too beginning to embody higher aspects, or a higher version, of our God Self. As a result of these changes, we are literally passing through an inner, and physical, rebirth. Some of you will experience this shift as a challenging physical transformation, while others, as a stabilizing phase, after the stellar transmissions received for months. From a macro, and deeper, perspective, this month is going to be a very important one, as our Planet is going to continue with its process of reconnection with the star portals that were once distorted, and closed, due to the dark forces manipulation. 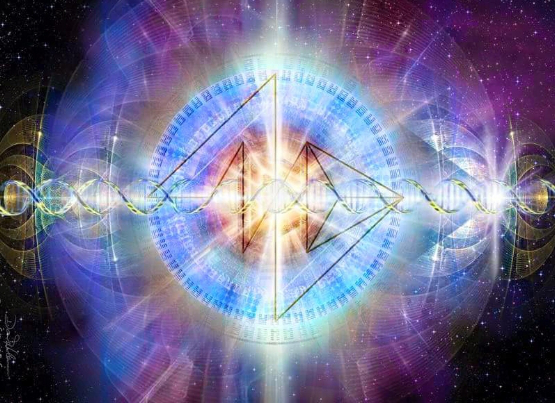 Star portals reconnection is not only occurring due to the new space that we occupy now but to the conscious effort of the many ascending souls that are working with Earth's Grids, planetary gates and all the deflected planetary fabrics. October is a month to create love in our human experience, as the Universal number 3 of this month reminds us. Love is not just about reuniting with other souls in partnership but about recognizing the Divine Spark within, honoring and respecting it - making of our human existence a path of selfless assistance to All. Love is about opening our hearts and live from this compassionate space, at all times, not just when everything is happening according to our human desires but even when things are challenging for us in the physical. This is a phase for us to direct all this unconditional love to take care of our physical bodies, for they are passing through a profound transformation, as they continue releasing dense matter and beginning to nurture our human vehicles properly, as only by becoming our own caretakers is that we can love others equally, and unconditionally. During this phase, it is pivotal that we take the time to focus on our bodies, especially for those who are still navigating between different timelines, for the etheric activations are going to be a constant, during this month, and without the proper care, our bodies will suffer. It is during this month that many will begin to reconsider their human path and create the changes that will be aligned with who they are becoming, as the more aspects we descend/embrace of our God Self, the more we will realize that is very challenging to live as others expect us to behave or simply as our egoic self desires, for now our human will has become One with our God Self and our main desire, joy, and mission, is not just to delight a human experience, but to be of service. This is a month in which our bodies are going to experience the natural evolution, and hence, shift, from all the cosmic transmissions - light codes - received during the past months. This is a time in which we are going to experience, or the majority that are ready to face this transition, many etheric activations, for this occurs when our bodies are ready to activate their cells, releasing old energy, and beginning the process of mutation to shift into lighter cells, holding more information directly descended from Above. While this process lasts, it is vital that we support this change by helping them detoxify, for this process do not just affect our cells but our brain, pineal gland, and many other organs that are being reconfigured, as the light body continues its activation process. The etheric reconstruction of our bodies takes place when we are in our dream state, for some they will be fully conscious, and for others, they will only notice, once they will awake, or by their physical symptoms. During this process, sometimes some of us will need the support of etheric surgeons to be able to mutate/transform certain parts of our bodies, which is why remembering these activations/healings, will not be for our highest good. This is why many do not remember, even though they can feel certain physical symptoms, what occurred during the night. There are many causes why etheric activations take place, as well as the proper healing we need for our physical bodies. It all depends on where we are in our evolutionary path. For some, these activations will help them to release more density from their bodies. For others, it will serve them as a powerful healing, if they cannot release, by themselves, all the old energy our bodies need to dissolve. As all of us have the main assistance of our Unified Self and personal Guides team, they will help our bodies in the way they consider better for what we need at the moment. If we become aware of certain imbalances we cannot treat by ourselves, then if guided, we could ask for the assistance of our personal team, and if it is meant to be, they will prepare our bodies to pass through the procedures required. Addictions (these addictions come to certain ascending souls as a result of feeling isolated or similar experiences. These are not caused by genetic reasons or karmic ones, which is why assistance can occur, as the soul did not come to experience this challenge and it was created once he/she became human). There are more reasons why we sometimes need etheric intervention. However, as we are all unique I leave it to you to follow your own guidance, for as I always say, no one can truly tell you what you are experiencing but yourself. Headaches - as a result of the brain new activity, for it is balancing both our left and right hemispheres. Heart expansion - a process that can begin by releasing old feelings, wounds etc. Pain or discomfort in the joints. Increase of our vitality or energy. We can feel these physical sensations for some time, although soon we will experience relief and the peace that comes when certain imbalances have been dissolved. As our body is not the only one that has to adjust to these new activations/changes, we should also pay attention to our emotional and mental bodies, for they also suffer from constant release and psychologically, we will also feel the consequences that these procedures cause on us. As our lightbody radically changes, we will have to do the conscious inner work of releasing old beliefs, fixed habits etc. that impedes us from embodying new aspects of our God Self as well as mission, and hence, non-physical abilities, as it is bilocation, precognition and many other gifts we have within and were not activated. During this process it is essential to sustain the body with light food, pure water, and the support one considers important, for their unique experience. In my personal journey, I find Silica, and other cell foods, as liquid oxygen, vital for my body. However, as we are all different, you will need what your body asks you for where you are at this time, in your ascension path. At a cosmic level, we begin this new energetic month with the reminder of the importance that loving, and honoring ourselves, has, for our personal growth, and to be able to be of assistance to All. This month is ruled by change, and in a month where we are immersed in a profound transformation only unconditional love to our unique process, will help us pass through this shift. As a confirmation of this benevolent, although one of radical change, month, we begin October with Venus "retrograde", for as you know I no longer hold the limited belief of retrograde periods, until October 31. Venus retrograde will act as the catalyst for us to create infinite abundance, which is another form of love, becoming aware of the imbalances we create that impede us to fully receive infinite abundance, and the love we deserve, and are, as Divine Beings. It is indeed a good time for us to transform our relationships, jobs etc. realizing if we live in possibility, in love, and in the prosperity that the Universe offers us or if we are yet dwelling in lack, and hence, in separation. After being in Scorpio, Venus in "slow motion" in its ruler Libra is going to give us a perfect healing energy for our relationships - dissolving everything that is impure and inauthentic in our sacred reunions, leading us to an inner synthesis. For this is the first step to maintain balanced relationships. There are many who at this time are beginning to release many reunions that are no longer in alignment with who they are becoming, for they are no longer in the same frequency. Let it go with great gratitude, and love, for all that this reunion offered you. It was never meant to be within this human plane, or in any other within Creation, that we must hold anyone or anything forever, as everything and everyone is meant to be free, which is one of the main attributes of living within Divine Love. Venus also reminds us the importance of self-love. It is vital to observe how we communicate with ourselves, for negative self-talk is one of the main things who impede us to fully embrace our potential and true nature, as LoveLight beings. It is not about what others think or say about us. Neither it is about how we communicate with others or what they understand, but about our internal dialogue toward ourselves that brings us down the most and make us think we are inferior or superior. This Venusian retrograde period, is going to offer us the opportunity to realize if we truly honor, respect and appreciate ourselves and what we do or if we are still allowing our egoic self to diminish us. This is also related to our sense of abundance, for as long as we do not love ourselves, abundance, which comes from feeling loved, and unlimited, will not flow. As if it was not enough, we have another confirmation of the loving essence of this month, with the Universal number 3 of October. A number of creativity, intuition and also the number of growth, as it is the result of the union between two equals. For number 3 is the synthesis of two giving birth to something new that will assist All. In Tarot, number 3 is represented by the archetype of the Empress. The empress represents the empowered feminine within us, the one who constantly creates and expands from within, for she knows no lack or disallows illusions to cover the Truth. She lives in love with herself and All for She knows that everything is One with her, and it is from this unify space that abundance and anything she needs is manifested. This is what we are invited to do at this time, to focus on how we create instead of expecting anything from the outside to fulfill our desires and establish a higher form communication with our Unified Self, instead of searching it outside. On October 7, we have another important cosmic alignment: Saturn quincubnx True Node. 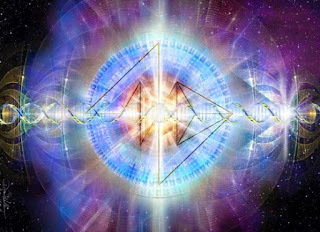 This is the frequency that for those who are ready to descend more aspects of their soul mission will help them receive more guidance about their soul purpose. For there are many who are already under this process of consciously unveiling more about their cosmic heritage and the many missions they have fulfilled, within Creation, and the one they have been assigned, during this present lifetime. For others, this process of knowing more about their human mission will come when they will be ready to fully understand who they truly are. There are many precious souls who are passing, at this moment, through an inner transition in which for more than they desire to know, their human self is not ready yet, and only inner work, and patient, will help them, until they are ready to receive this new knowledge about who they are and what they are meant to do here on this Planet. On October 8, we have a loving and balancing New Moon at 15 degrees of Libra. This Moon comes to set the proper balance we need in both our physical and non-physical reality, after all the eclipses' turmoil as well as the intense integration phase in which we have been immersed. This Moon will offer us a stabilizing frequency in a month where we are experiencing a huge shift in our physical bodies, as well as relationships. This Libra Moon will help us creating balanced relationships, especially with Venus retrograde, for we have the opportunity to release old attachments, which are often confused with pure and unconditional love, when it is simply dependency, creating a healthy relationship, first with ourselves, and then with the person that is destined, if so, to co-create with us, at this time of our human experience. The next day, on October 9, we have Mercury, the Winged Messenger, entering into Scorpio. With this event, we begin to feel the profundity of this month. For Mercury in this Water sign will dive deep into the unknown and mysterious. As humans, we tend to think that it is only valid what is visible. However, Mercury in Scorpio will invite us to realize that there are more hidden to the physical eye than what we think, and that it is as real as what we can touch, with our physical senses. This is a time of revelations, and communication with the Illumined Realms, especially for the ones who have just moved to certain locations to be of assistance, in a new way. For they will be receiving many new directions, for their unique journey, and to help All. As Mercury rules communication, it will remind us that all forms of communication in truth begin from within. Everything is first descended from our inner realms and with this encounter, we will remember the importance of moving inward to find the Truth as well as the value of the invisible - our feelings, deep wounds, and everything that we need to unmask, confront and hence, dissolve. The last part of the month is going to be reigned by the healing frequency of Scorpio, as on October 23, the Sun will enter into this Water sign. We now are called to visit the depths of our being, navigating through our inner waters to illuminate those dark corners through the wisdom we have regained during all this time and embrace the "dark" aspects that are also a part of who we are and Creation - that makes us whole and One with All. A time to look within to receive all the revelations that these last months bring to us, as the last part of this year, will show us where we are going, as well as new ways of being of assistance, which is of great importance to change direction, if the timeline we have chosen no longer resonates with our true destination. The following day, on October 24, we have a Full Moon at 1 degrees Taurus. This Moon is going to confirm the essence of this month, which as you feel is all about change, one happening within, and in our relationships, for it conjunct with Uranus which is opposed by Venus. This is inviting us to create a transformation, in the aspects of us that we still choose to deny, unlove or hide, and then in our relationships. As this Moon harmonizes with Saturn, it will stop, in a way, the impulse nature of Uranus, and while the change could be chaotic and unexpected, this will help us adapt to the changes we are meant to experience whether in ourselves or in our relationships. October is the month of love, abundance and change. However, and although they can seem different things, they all come from our sense of love. In order to create an abundant, healthy and loving reality, first we need to love and respect ourselves, for only when we do so, is that our physical reality will reflect the same. As humans, we have been programmed and taught to love with the ego, for all the false propaganda, between many other manipulations, have taught us that this is real love. The truth is that one cannot love another, and recognize the Divine within another person, if first; one does not become conscious of the one within. Feeling whole, loved, valued and protected comes when we remember the God Particle within, realizing that we have always been appreciated, beyond what we can understand, as humans, by a Higher Intelligence whose only purpose, and joy, is to live through us a human experience - co-creating infinite abundance and balanced relationships. We were never meant to live an undesired, limited and unloving reality, this is what we have been told, for one of the first feeling to be inculcated to humans, is the one of feeling guilty. We are free sovereign beings, wise, and powerful enough to create the experience that will best serve our growth. The sooner we realize this Truth, the sooner we will pass from a limited, manipulated matrix into a free, and loving, one, in which all beings are loved, appreciated and equals. No outer cosmic event, or person, will save and protect you from anything that you are meant to experience, for you created it for yourself, to being with, or give you what you desire. No thing or person could ever change who you are or your reality but yourself. Therefore, do not continue searching outside what you have had within for eons. Conquer, the shadows, know yourself, love all of it, and begin to walk a path of possibility, love, abundance and change, not a path ruled by the fear your human self feels, but by the joy that welcoming the unexpected, and discovering new horizons, have. I now would like to share this declaration to release the past and welcome the new, for those who resonate, and feel guided, to use it, as they wish. As always, you are your own Master and this is just an example, you will have your own words. I was guided to share it, since this month is one for us to embrace change and begin to create, if not already, a loving, compassionate and joyful reality. Before this declaration, in your unique way, make sure you first protect your physical, and non-physical bodies, so only the LoveLight Beings assisting you in your path, will come to help you. I _(your name)_ call upon my Unified Self, Monad, Guides who assist me on my human experience, and who only come from the Love, Light, Truth and Unity of God to help me release what no longer is serving my current human path. Thank you for helping me protecting my personal and sacred space of everyone and everything - incarnated or not - who do not belong to the Light. It is my conscious desire to let go of everything, and everyone, with great love, and blessings, that have fulfilled its purpose in my journey - being free of the old so I can welcome what my soul planned for me to experience, in this human plane. I _(your name)_ as a sovereign free being, choose to no longer feed the past, for it is no longer existing, in my present timeline, fully opening my heart to new horizons that have not been walked, yet, by my human self and that will offer me precious new experiences and soul encounters. I AM forever dwelling in this Now moment. I AM forever grateful for all the past experiences and relationships that have served me to become the empowered and sovereign being that I am now and that have been already released, forgiven and appreciated. I AM ready to let it all go, with great love, joy and excitement for what is coming, in this new phase of my evolutionary path. I AM now manifesting what is for my highest good, and that of All, working in perfect unison with God and with the Forces of Light of this Universe and all multi-universes that help me manifest a perfect reality for what I need to experience next. I decree that it is my pure intention, and conscious soul desire, to only dwell, and hence, experience, this moment, removing all previous ones that my human self is no longer living and needing for its growth. I __(your name)__ thank my Unified Self, Monad and Guides for helping me dissolve all past timelines, energies, and relationships that are still active in my energetic field. Therefore, I make of this declaration a permanent and irrevocable one. I pray so you never feel alone, during this transition, for even though it can seem so physically, you are never alone or hopeless. For if you know where to look, which is, always, to the Light within, you will find the entire Universe loving, appreciating and accompanying you, in this human journey. I send all of you, precious souls, infinite love and strength, and I pray for you to always experience the joy, and value, that this challenging, but worth path, has for your growth. I love you and thank you for all you are and do for All. I wish you Beloved Companions, a loving, balanced and blessed October!